Dulce de leche: But They Look So Happy! News about the Duggars’ newest baby has spawned a number of online arguments. One of the most frequent comments was about how cheerful their family is, especially the children; how Michelle is a great mom who doesn't yell. Life must be working for them, because the kids are well behaved and look happy. Sounds reasonable, right? I might believe it, if I didn't know what I know of Gothard/ATI, the Pearls, and S. M Davis. One of the creepiest things about their teachings is that happy is the only acceptable emotion. Not only must children be perfectly compliant at all times, they must also look cheerful at all times. The Duggars are deeply enmeshed in ATI, (Gothard's homeschooling program) and ATI takes allegiance very seriously. It isn't a vague statement of beliefs that you sign so your kids can take the courses. It is several pages of in-depth info that covers what kind of music you can listen to (no Christian rock), the kind of TV you may watch (mainly Christian DVDs), the way you must dress (those jumpers are about modesty), the kind of punishments the parents must use (spankings), and more. It isn't just a curriculum--it is a lifestyle which delves into family finances, child planning and every other detail. One key idea teaches the importance of a joyful countenance and a light in your eyes. This is a measure of how mighty you are in spirit. Not only that, it is also an indicator of your respect for authority. Bill Gothard explains in the Basic Seminar session on How To Relate to Four Authorities that if you look unhappy, you are publicly shaming your authority. In parenting, that means that if the kid looks unhappy, it is a personal offense against the parents. He also teaches that unhappiness is the result of ungratefulness, and that anger comes from not yielding our rights to God. This boils down to the idea that if you are not cheerful, you are not pleasing God. The Duggars also strongly recommend S. M. Davis in their Family Favorites link under Solving Family Problems. Although he is perhaps not as well known as Gothard or the Pearls, his teachings are similar. Along with the strong insistence on father rule and corporal punishment, he is adamant that not only must the child immediately obey without question, but that it must also be done with a smile. In advising parents of young children, he says, "They need to learn to obey what you say, do it right away and do it with a smile. Maybe that is a statement that you should have your children memorize and even hang in your home. ‘Do what I say, when I say and with a smile.’" A few lines later, he repeats it, "After all, isn’t the goal immediate obedience with a smile? If it isn’t that, it isn’t obedience, and the child has won." (Quite a contrast to Jesus' parable of the two sons in Matthew 28!). There has long been a lot of speculation about whether the Duggars use the controversial punishment methods taught by Michael and Debi Pearl in To Train Up a Child (TTUAC). The Duggar’s website includes it along with a glowing recommendation. Considering that some of the other recommendations list personal details about how the materials were used by the family, I cannot believe that it was randomly included on their site without their approval. "My nine- and eleven-year-old daughters came in from a neighbor's house complaining of a young mother's failure to train her child. A seven-month-old boy had, upon failing to get his way, stiffened, clenched his fists, bared his toothless gums and called down damnation on the whole place. At a time like that, the angry expression on a baby's face can resemble that of one instigating a riot. The young mother, wanting to do the right thing, stood there in helpless consternation, apologetically shrugged her shoulders and said, "What can I do?" My incredulous nine-year-old whipped back, "Switch him." The mother responded, "I can't, he's too little." With the wisdom of a veteran who had been on the little end of the switch, my daughter answered, "If he is old enough to pitch a fit, he is old enough to be spanked."" A seven month old. Hit with a switch for crying. How twisted is that? He goes on to add, "Bad attitude is pure bad. For as a child "thinketh in his heart, so is he (Prov. 23: 7)." "Keep thy heart with all diligence; for out of it are the issues of life (Prov. 4:23)." If a child shows the least displeasure in response to a command or duty, it should be addressed as disobedience. If a child sticks out his lip, you should focus your training on his bad attitude. The wrong slant of the shoulders reveals a bad frame of mind. Consider this a sign to instruct, train or discipline. A cheerful, compliant spirit is the norm. Anything else is a sign of trouble." So it isn't just verbal disagreement. A "wrong" slant of the shoulders deserves punishment. Children are taught from babyhood to always be cheerful, or else they deserve a spanking. As they grow older, it is not just the fear of a spanking that causes them to keep smiling. It is the sincere belief that they are sinning with ungratefulness, rebellion and more if they don't present a happy face. You know the whole fake it till you make it idea? It is pretty effective. I am sure that there are plenty of times where the kids are genuinely happy. There are many good things in their lives, and I do believe that the kids are loved. I am not saying that it is all a sham. I do strongly suspect that the habit of "joyfulness" is so deeply ingrained that denying "ungodly emotions" is automatic by now. If you repeatedly ignore a feeling of satiety and force yourself to continue eating, eventually it becomes very, very difficult to even recognize when you are full. In the same way, those who have come out of cultures where they must always present a calm, smiling face, often go through a phase where they can’t even recognize which feelings are authentic and which ones have become nothing more than a conditioned response. If you are under observation or threat of punishment all the time, such emotional repression becomes an essential defense mechanism to protect yourself. A very telling question is, "Do they laugh?" Yes, they smile often. But how often do they lose themselves in a deep belly laugh? What other emotions do you see openly displayed besides peace and contentment? Do you see spontaneous outbursts of any strong feeling, even joy? Or is every response carefully contained? Do they ever flip a switch? Go from distress to instant calm? Self control is admirable, of course. But so is healthy self expression. Suppression is not. Consider how the Bible portrays emotion. Jesus wept. He even cried to the point of bloody tears. He got angry, threw over tables and chased people out of the Temple. There were times when He sounded suspiciously close to exasperation with the disciples. David, the man after God's own heart, yelled and raged, cried and despaired. Read the stories of the heroes of faith- they argued, tantrumed, got discouraged, and felt afraid. They were open and real with their big emotions, even when they looked messy. Part of our job as parents is to give our children healthy ways to express all of their feelings, not to punish them for having the feelings in the first place. Expressing intense feelings in safe and appropriate ways is a skill that requires practice. We must model speaking the truth in love. For many people who follow Gothard, Davis and the Pearls, there is incredibly strong pressure to be a salesperson witness. Your countenance is your sales pitch testimony, and if you present an ugly picture to the world, it is a public shaming of your parents and ultimately your God. Are you going to be the cause of people in the world turning from Christ? I have heard women who are part of this mindset justify staying in abusive relationships because "it would look so bad for a Christian to divorce". As if God would rather you live a damaging lie and deceive others than expose the truth that even families who claim Him are not perfect. (Shhhh. Maybe He won't know that your marriage is really broken as long as you don't sign divorce papers! It is the letter, not the spirit that counts, right? Oh, wait...) Please check out Families Where Grace is In Place or Grace Based Living to read more about living free from curse-filled relationships. I believe that God values wholehearted authenticity over superficial perfection. As C. S. Lewis expressed so powerfully, "until we have faces" and remove our veils, we will not have the relationship with God or others that we were meant to experience. Such honesty and vulnerability is often uncomfortable, both to demonstrate and to witness, but it is vital. He is truly a God who is our Rock, the anchor for our souls. He is big enough to handle our fleeting emotions, even the messy ones. He can take our deepest questions. We can pour out anguish, discouragement, loneliness, petty annoyances, frustration and anger, knowing that His arms are everlasting and that He has promised to wipe away all tears from our eyes. Jesus didn't say, "...or I'll give you something to cry about!" Instead, He said, "Blessed are those who mourn, for they shall be comforted." He doesn't condemn us for our feelings. He comes alongside us and comforts us. He doesn't punish us if our smile slips. So when I hear someone say, "But they look so happy!" I can't help but think, "Of course they do. They know that happy is the only acceptable emotion in their world. But is it really happiness when you aren't allowed to express anything else?" Gothard, Bill. (2011) http://embassyinstitute.org/speakers/gothard Basic Seminar Session 04: How to Relate to Four Authorities. Pearl, Michael. (1994). To Train Up a Child. No Greater Joy Ministries. ***Note***This has been edited from the original post to correspond to the version that I wrote for Home Educating Family Magazine. Both versions were written before Mrs. Duggar's miscarriage. Although I disagree very strongly with their position on many things, particularly corporal punishment and patriarchy, I believe that the loss of any child is a tragedy, and they have my very deepest sympathies. I know there is a strong tendency to tell children not to cry and I don't know how many times at big family dinners I've heard people tell children "crying isn't aloud here." I am very committed to an emotionally safe home -- one at which it is safe to have emotions, to experience them, to process them, etc. I don't think people would be so anxious about children crying if they'd been allowed to properly cry when they needed to as children. Just a theory. When my mother would spank us, she would order us to "cry quietly." Screaming or outright crying meant more spanking, only whimpering was acceptable. I'd never connected that to what you discuss here, but I would guess there is a connection. I remember my pastors wife telling me she thought they were creepy. Now I know why. And of course I get angry when people look at this cult and say, "But clearly there's nothing wrong with it! They're so happy!" Even my own family didn't believe me when I told them I'd been deeply depressed. They told me again and again that I was just re-writing history and that "they could tell I was happy." It's like people don't realize how easy happiness is to fake. A friend who was raised with no crying allowed suffers from depression now ... only no one can ever tell she's unhappy. The only way I know is that she stops calling me. Even her boyfriend has to hunt her down and say, "You're unhappy right now. You need to deal with this." Often, she hasn't even realized she was unhappy. Just felt out of sorts with no reason why. Let me tell you: everyone needs a good cry from time to time! This post really nails down what disturbs me a little bit about the Duggars. Sheila said something to the effect of how if you try to explain your depression when you seemed so happy, people will say you're just re-writing history. I've definitely encountered this! It's sad and painful. What disturbs me is the idea that if you seem unhappy, you're shaming God. Jesus was drawn to the ones drowning in sorrow and pain, so that he could weep with them (so they're not alone) and heal them. He didn't say, "You must force yourself to look happy so that you won't shame Me and My Father." He said, "I've come to restore, heal, serve, and love." I've come to love Jesus who loved everyone, despite what their appearance was. Wow - thank you for this information. I grew up with divorced parents. My dad was Catholic. My mom, however was pentecostal. That was just nuts and I think it shaped many of my (dis)beliefs today. I'm glad that I know a little more about that family. Though I wasn't a die-hard fan or anything, I did watch from time to time. I did often wonder why, out of all of those kids, none of them acted out for attention or cried or even looked sad. It was just weird. I won't be supporting the show by watching again. I grew in the same kind of environment. I was the second oldest of eight, and my stepfather would paddle my younger siblings more if they kept crying. One of my little brothers in particular was very sensitive to pain, and I remember how awful my sisters and I would feel as we sat in our room listening to him trying in vain to choke back his sobs. I never watch the Duggar show. I don't want to be reminded of my own upbringing any more than I have to. Thank you all so very much for sharing you experiences. Your comments mean so much to me. To be honest, this post has stirred up some things that I am still processing. I will come back later to respond more specifically to your comments. Love and grace to you! This is so sad. It's even worse when you consider that the majority of people seem to ignore these facts. I'm glad some people have the courage to speak the truth! 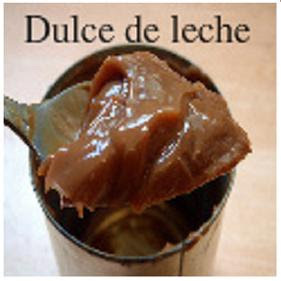 Thank you dulce de leche! I always think of this verse when I hear the Duggars talking about showing a happy/joyful countenance. Jesus was not happy all the time and, as we are suppose to follow his example, I see no reason why we have to be happy all the time either. I was going to point out the "Jesus wept" verse, too. Or the Psalms, or the entire book of Lamentations. Our emotions are what they are. I wasn't raised in an environment like you're describing, but did have trouble expressing my emotions. I have to stop myself from telling my children not to cry, so I make myself affirm their feelings, let them know it's OK to feel what they're feeling. I know I could be a lot better at that, though. I definitely don't go for the Gothard/Pearl/etc. philosophies. I have no objection to large families - I want a large family (won't have 20, I'm sure, because of logistics if no other reason), but am saddened by those parenting philosophies. I shamefully admit to blindly following my church in doing the "Pearl" teaching. Ugh! I thankfully realized a few years back how ungodly this was and ran away as fast as my feet could carry me. My family and I are so much happier now. It's amazing what grace and God can do when added to discipline. Thank you for sharing and I look forward to reading more. It depends of their culture , And the same i am agree with @betsy comment "I don't think people would be so anxious about children crying if they'd been allowed to properly cry when they needed to as children. Just a theory." I disagree. I think the Duggars are an amazing Godly family. They cried and grieved when their baby died. Their joy is in the Lord, and it's a beautiful thing. As for divorce, the Bible clearly says God hates it. Thank you for sharing your perspective! I believe that the Duggars have many wonderful qualities (the snarky side of me would specify 49). However, I am still of the opinion that it is impossible to be authentic if you believe that anger and sadness for personal reasons are sinful. I also think that their recommendation of the reprehensible and abusive materials by the Pearls is a very grave mistake, and pray that it does not lead to more child deaths. I agree that God hates divorce. As I stated, I believe that divorce is more than a paper, however. I do not believe that God calls us to enable unrepentant sin in a marriage partner by allowing abuse to continue. In the context of this post, it seems as if you are implying that God would prefer for someone to remain in abuse than to sign a divorce paper. If that is not your opinion, then I apologize for misunderstanding. If it is, I vehemently disagree. Sadly, the patriarchal system endorsed by the Duggars' spiritual leaders leaves very little recourse for a woman whose husband is abusing her or their children, and in fact often furthers the abuse. Thanks for your respectful response. I respectfully agree to disagree. The Bible is my authority, and Jesus is my example. I'm also a fan of the Pearls, and my children are alive and well. Thank you. I, too, consider the Bible my authority and Jesus my example and authority. I do not want to attack you in any way, but if you would like to understand some of my concerns about the Pearls, please check out Why Not Train a Child . Such a beautiful and truthful article. Thank you! This is beautifully done, Dulce. Thank you for being brave. Discipline vs Abuse--Why the Limbo Contest?